← WELCOME TO 12 DAYS OF CHRISTMAS 2014! 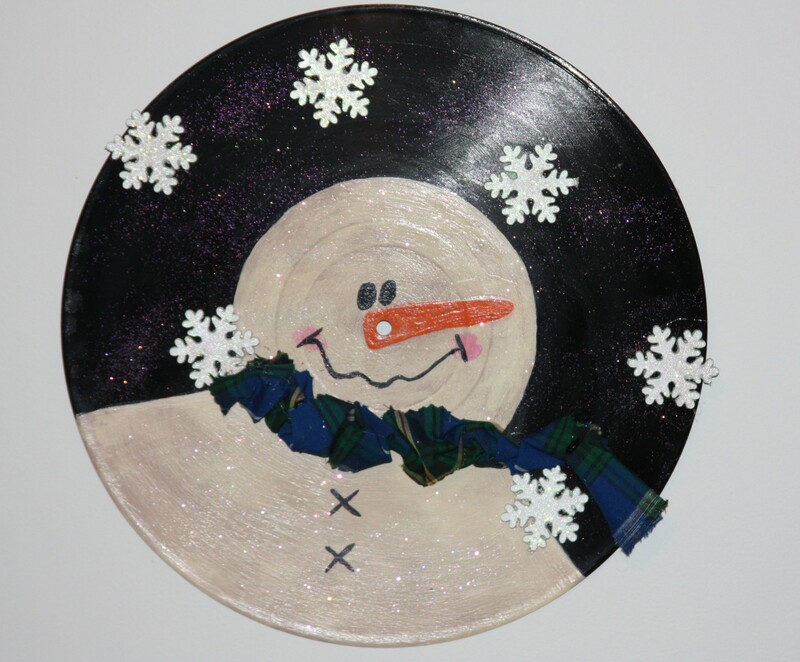 Welcome to Day 1 of my 12 days of Christmas decorating, craft and gift idea challenge. In October I shared with you some of the awesome things I picked up at a “Use It or Lose It” event for” free” in a town nearby. One of those things was some old vinyl LP records. I first saw this idea on Grassy Branch Farm’s Etsy Shop and wanted to order one but unfortunately she was unable to ship to Canada. Lucky for me though, she has a full tutorial on how to make this cute little guy and you can click here for all the details. I attempted my hand to replicate her design because I liked it so much!!! I made a few minor adjustments to my little guy due to only having certain materials to work with. a) I decided not to put holes in the top to hang it up but instead attached a twine hanger to the back. b) I did not have any stain on hand so I made my own version with very watered down cream and brown paint. c) I also did not have a snowflake stamp but I did have small snowflake ornaments that I had purchased at the Dollar Tree. d) Instead of homespun fabric I used some Nova Scotia tartan fabric I had left over from a project I did two years ago. Overall I think it turned out pretty OK. So for the 1st day of my 12 days of Christmas, I gotta say it …. I think it’s A Wandaful Thing!!! 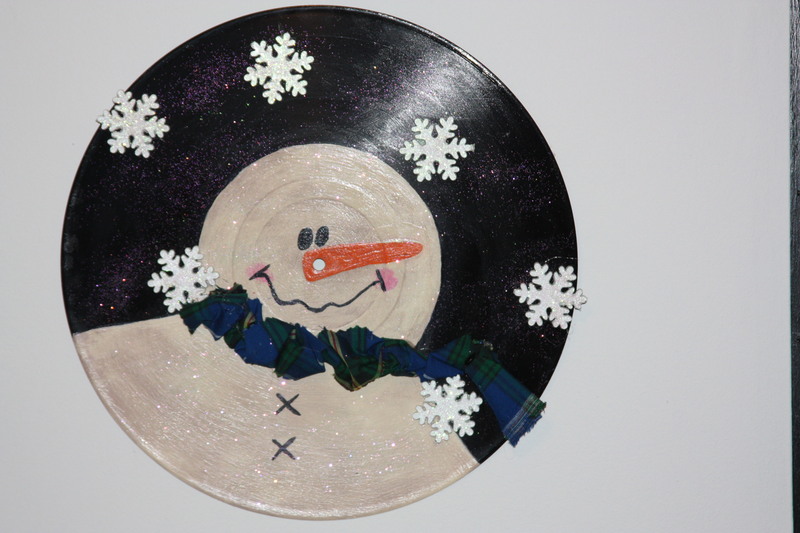 This entry was posted in Decorate, DIY and tagged Christmas, Crafts, Decorate, DIY, LP, nova scotia, paint, record, scarf, snowflatkes, snowman, stain, tartan, vinyl. Bookmark the permalink. The 3d snowflakes make it even better!